Mayo Schmidt was in town to give a speech to the chamber of commerce. After the event, CBC quizzed him about earning $4.5 million last year as utility rates continue to rise dramatically in Ontario. 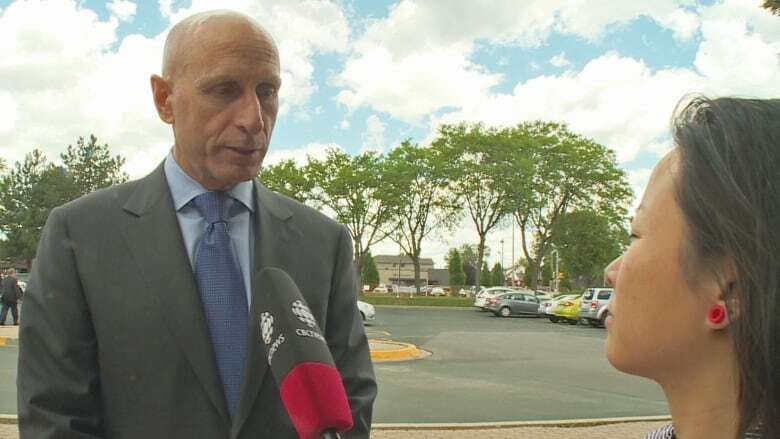 The CEO of Hydro One defended the multimillion-dollar salaries he and other executives at the company take home during a visit to Windsor. He said compensation for company leaders at Hydro One is based on comparisons with similar companies and an analysis of the market by the board of directors. "The shareholders will vote on that compensation, of which 80 per cent is based on performance," he explained. "So in the case of Hydro One, if we can reduce our costs by tens of millions of dollars a year, then the leadership teams across the organization will earn the opportunity to earn that income." Schmidt also said he's aware of concerns across the province as hydro rates continue running high, but added his company does not set the rates. "They are high and that is why there has now been a Fair Hydro Plan rolled out ... and at the end of the day, the cost of power that is embedded in the system has to be paid for," he explained. "The question is by who and over what period of time? So those are the things that our province is working hard on."